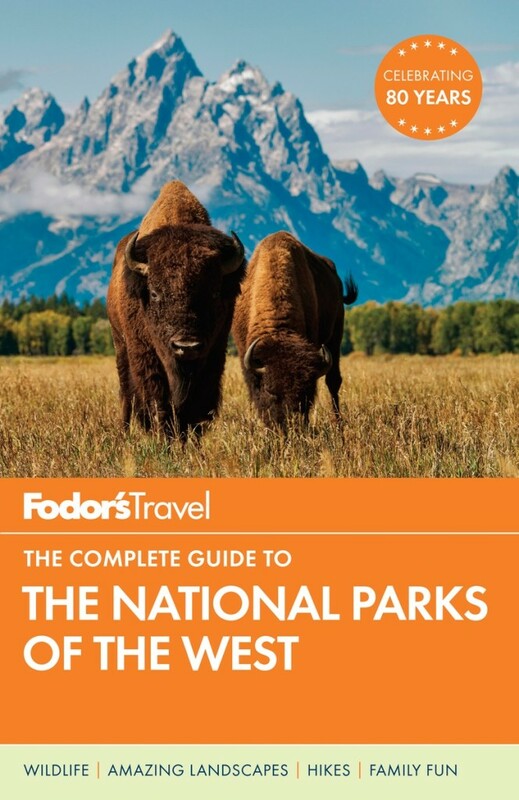 Home » Books » Fodor’s Travel: National Parks of the West Giveaway! 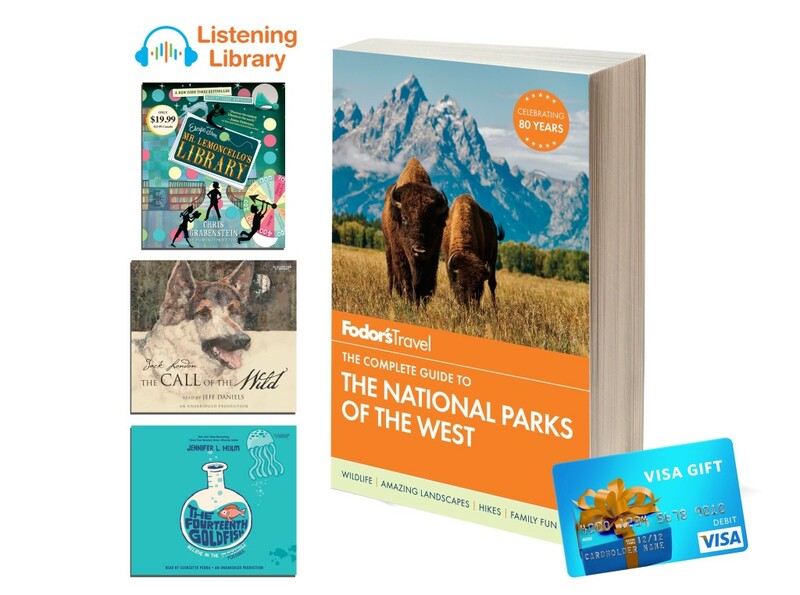 Fodor’s Travel: National Parks of the West Giveaway! This post is brought to you in partnership with Penguin Random House. We are lovers of the open road at my house. The road trip is a one-of-a-kind experience not to be missed. I love experiencing the beauty and quirkiness of our country firsthand. While I may be biased as a native Pacific Northwesterner, the West is a portion of the country worthy of a road-trip. From scenic waterfalls and lush forests to snow-capped mountains and amazing hiking trails – there is something out West for everyone. Fodor’s (THE travel authority! ), wants to get your family out West too! Now, planning your summer vacation has never been easier thanks to Fodor’s Travel.For 80 years Fodor’s has been a trusted resource offering expert travel advice and in celebration of the National Park Service Centennial in 2016, their experts unveiled a new suite of online tools and updated guidebooks to help travelers plan an unforgettable family trip to America’s incredible natural wonders. Throughout 2016, all parks, including Yellowstone and Yosemite, will celebrate the centennial with activities and initiatives that allow visitors to revel in their natural, historical, and cultural splendor. Their new guidebook, Fodor’s The Complete Guide to the National Parks of the West, contains information about 38 of the nation’s best-loved national parks – including Yellowstone, Grand Canyon, and Yosemite. This handy guide is essential – containing so much valuable information, from where to stay and eat to sights you don’t want to miss! There’s no better way to explore a national park (or a few!) than to hit the road and let’s face it, picking which parks to visit and what scenic routes to take can be overwhelming. Fodor’s National Park Road Trip Itineraries, found on Fodors.com, include the most road-trip worthy adventures to parks across various states. And that’s not all you’ll find – National Parks 101 tells you everything you need to know about planning a trip to the national parks, including booking, budgeting and packing tips; and National Parks Finder helps you find and compare national parks based on activity, region or season. When you use these tools with Fodor’s National Parks of the West, on sale May 10, which includes completely updated coverage of the best sites, dining, and lodging in and around each park, you’re sure to have the best summer trip yet. One of our bucket list goals is to visit every National Park in the West. There is SO much beauty to be enjoyed. We have already started planning our next road-trip using the Fodor’s online tool which helps you pick your park(s), set road trip itineraries and more. Last year, we drove cross-country with four kids, so I know just how important it is to keep those little minds engaged on the trip! We always pack a variety of items to keep the kids busy including books, activity books, drawing supplies, and healthy snacks. However, one thing you may not have thought of is an audio book. There are SO many family-friendly titles in the Penguin Random House Listening Library of audiobooks. With an audiobook, you can completely lose yourself in the journey, enjoying the scenery while listening to a great narrator tell you a story. Ideal listening with kids in the car, audiobooks expand vocabulary, teach pronunciation and improve reading comprehension. In fact, 85% of what we learn, we learn by listening. Whether it’s a charmingly, quirky tale for your middle grader like Jennifer L. Holm’s The Fourteenth Goldfish, a brain-teasing mystery like Chris Grabenstein’s Escape From Mr. Lemoncello’s Library, or Jack London’s classic The Call of the Wild read by Emmy Award winner Jeff Daniels, you’ll be able to sit back, relax, and enjoy the ride! One lucky Chasing Supermom reader is going to win an incredible prize pack to get you started on your road trip! Get those entries in and good luck! 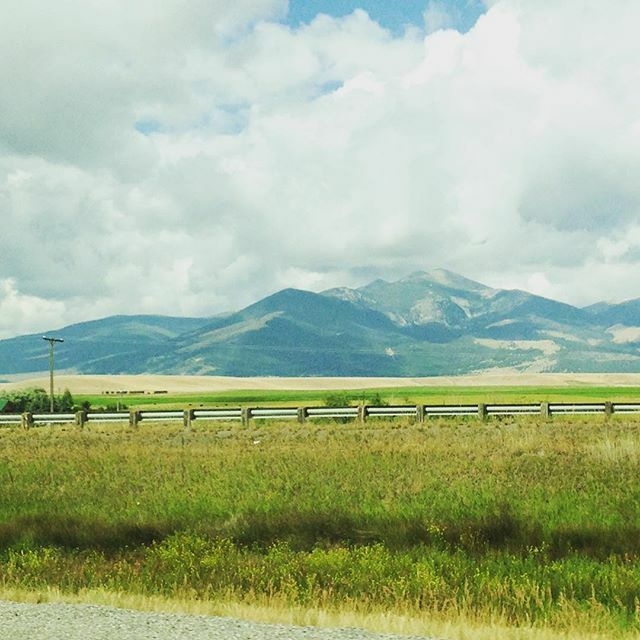 Take a Family Road Trip Out West! PLUS a $50 Visa gift card to put towards filling up the tank! Prizing and samples provided by Penguin Random House. My favorite National Park is Grand Canyon, too! I would love to visit he Grand Canyon. My favorite is Sleeping Bear Dunes in Michigan. I would like to visit Yellowstone national park. I love Grand Teton National Park (that it pictured behind the buffalo). Visited there many times and you can take a day trip up to Yellowstone. Yosemite National Park is my favorite. I most want to visit Yellowstone National Park. I would really like to visit Yellowstone because I’ve always wanted to see Old Faithful. My favorite park is Yosemite. The views are so spectacular they make you gasp. I really want to take my family to Yellowstone National Park. Thank you! I’d like to visit the Grand Canyon. I want to go to Yellowstone National Park. 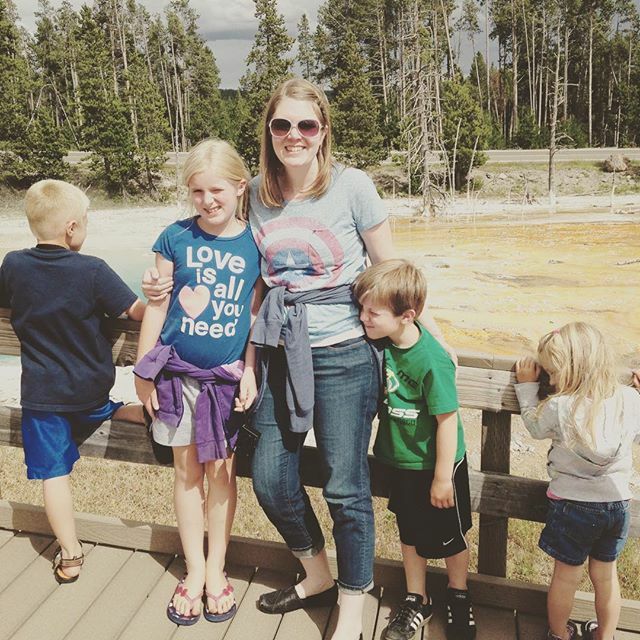 We visited the Grand Canyon last year, but we really can’t wait to go see Yellowstone. Alcatraz is one of the most interesting national parks I’ve ever gone to! I want to visit Zion and Glacier. I Would Like To Visit Yellowstone National Park! I’d like to visit Yosemite National Park. I grew up near Yellowstone it will always be dear to my heart. I would love to visit Yosemite National Park. We like Moraine state park in PA because it’s close. My daughter is planning a vacation to some of the bigger western state parks. I would like to visit the Grand Canyon National Park. I would love to visit Glacier National Park. I would love to visit the Arches National Park some day! I would love to take a trip to visit Yellowstone. Yosemite National Park is my favorite national park.